This recipe post was originally intended to be about what I made for lunch. But the sauce I made was so delicious (really!) that I decided it deserved its very own entry, lest it be lost and forgotten with the fried sardines. 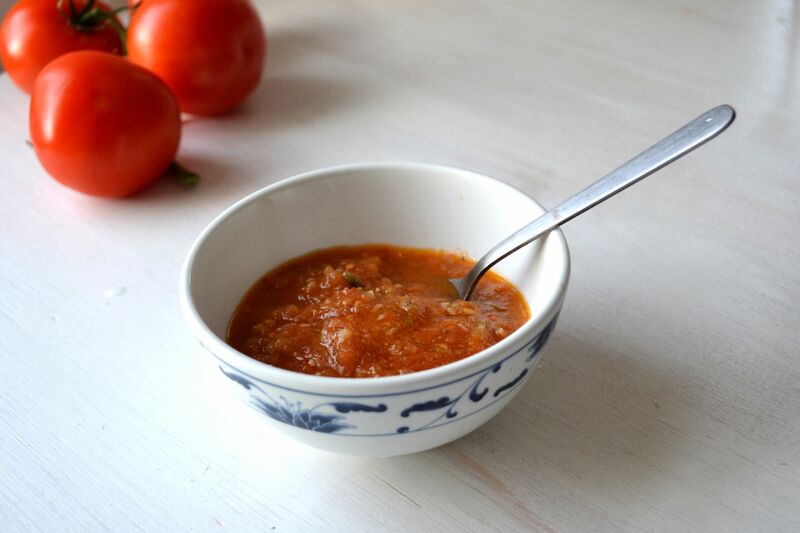 It’s actually a wonderfully versatile sauce, and although it’s particularly nice with oily dark fish, like sardines, herring, or mackerel, I imagine it would also be lovely served, say, as an accompaniment to grilled shrimp, or even with more delicate fish like cod or sole (perhaps for dinner, with some boiled new potatoes). You could even put it on bruschetta and serve it on its own. It’s not as funky and robust as you might expect given the garlic and the anchovies; rather, it’s a bright lemony sauce with just a hint of sweet, and the anchovy and garlic add complexity and depth. 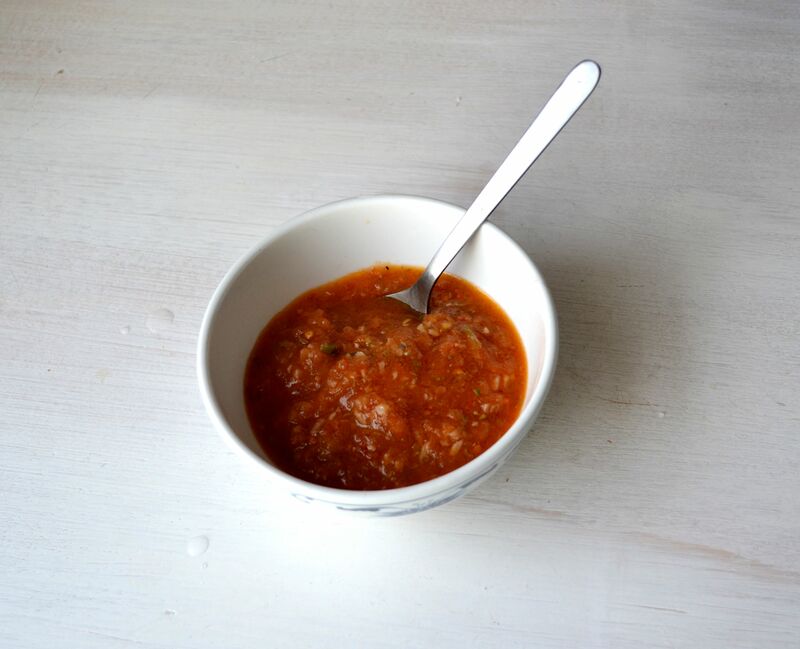 I adore anchovies, but I bet you could serve this sauce to an anchovy hater, and not only would they not realize that the earthy flavour comes from anchovies, they would LOVE the sauce. And it’s quick and easy to prepare, using ingredients you (most likely) already have in your kitchen. Heat two tablespoons of olive oil over medium heat and then sauté the garlic until just transparent (do not allow to brown). Stir in the grated tomatoes and the red pepper flakes (if using), and cook for about two minutes, or until the tomatoes have started to turn golden. 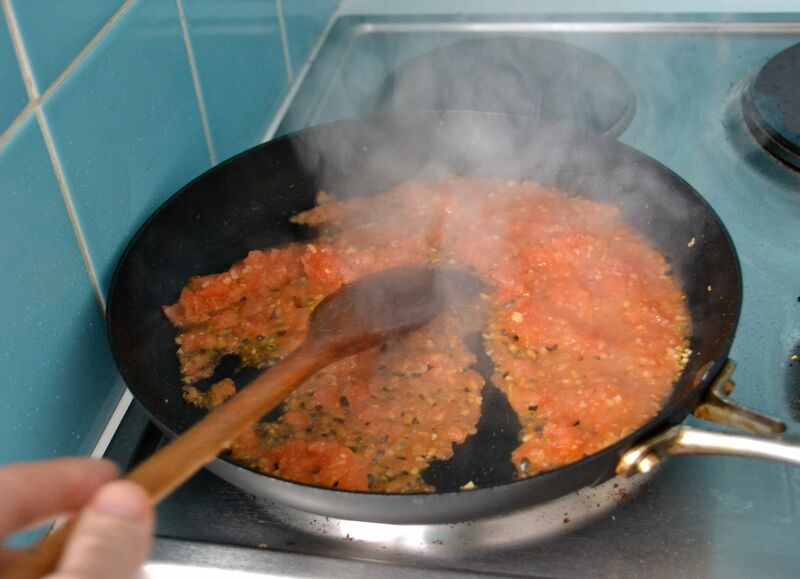 Add the minced anchovies and capers and cook for another one to two minutes, stirring frequently to prevent browning. Transfer this sauce to a bowl and add the lemon juice and zest, remaining olive oil, and sugar. Stir to combine, and then add additional salt, if needed. Serve warm or at room temperature. This sauce should keep, covered, in your refrigerator for three to five days. 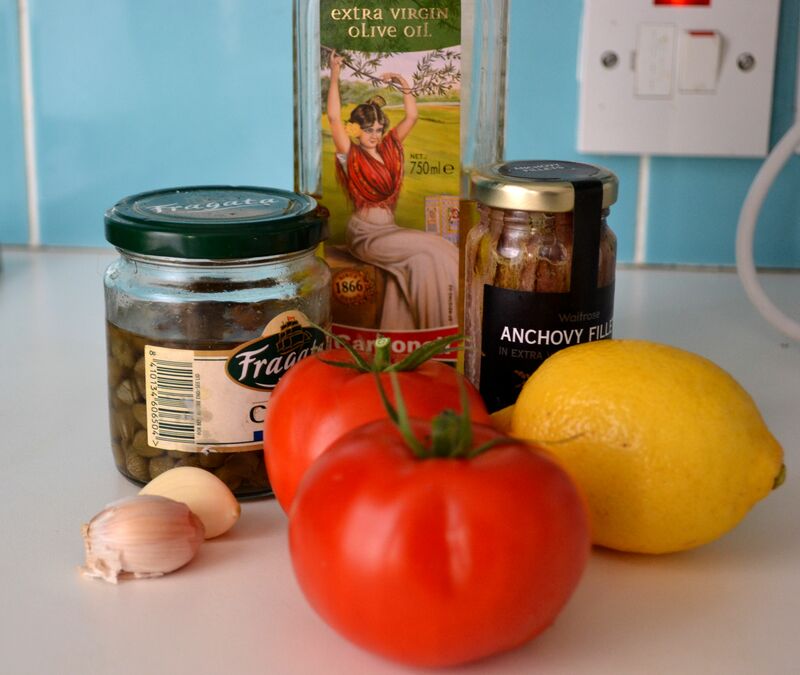 This entry was posted in Condiments, Marinades, and Sauces and tagged anchovies, capers, Garlic, Italian, Lemon, Tomatoes by Susan. Bookmark the permalink. Saucy little number!! Happy new year! Thanks Simon! Come over to the new flat and I’ll cook for you! Happy New Year! Looks great, and especially love the idea of it on bruschetta. I’ve got a fair bit left over … maybe I’ll do that tonight. Thanks for stopping by! For years I thought I didn’t like anchovies as I’d had them on a pizza as a child once and hated them. I then tried them again less than a year ago and discovered I love them. I’ll definitely try and make this or something similar. Great! If you do please report back. I love feedback, and I love hearing about the tweaks people made to my recipes. Yummy sauce Susan! I served it up with shrimp and a nice crusty bread. Would love to try it on fish in the future. Used canned San marzanos and it turned out great but can’t wait to try it with fresh ripe tomatoes in the summer. I also made the tarte tatine for dessert….omg so wonderful. You cook the way I dream of eating. Yes! hopefully our paths will cross soon. Made the tarte again to bring to a dinner gathering and it was a big hit. One kid was licking the serving plate. Love it! It’s a great dessert: so straightforward, and yet so delicious. That looks great! I think I’m going to prepare it for my father-in-law, he can’t get enough of anchovies. Wonderful! Let me know if you do. Also, I checked out your blog — it’s great.